TEHRAN, Iran A pro-reform candidate withdrew Tuesday from Iran's June 14 presidential election to support a centrist whose campaign has gained momentum in recent days. The decision by Mohammad Reza Aref is seen as a major boost for Hasan Rowhani, who now faces off against five conservative candidates. 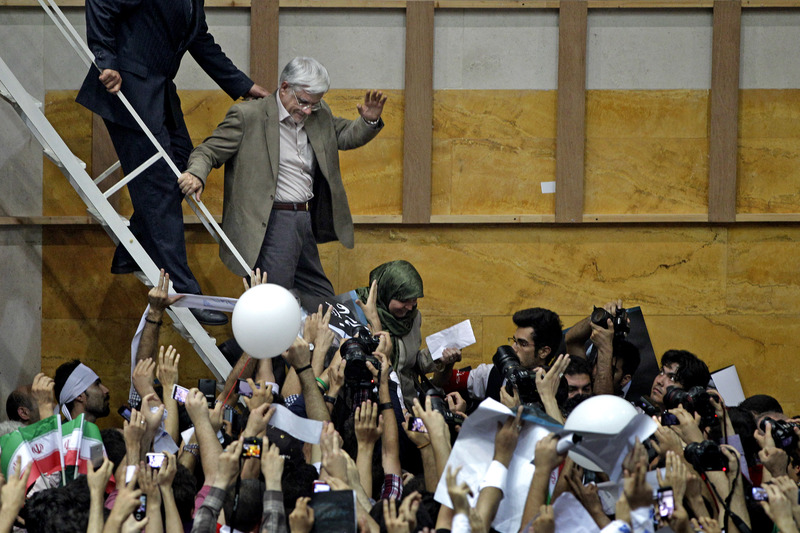 Aref's website Draref.ir said he made the decision at the urging of reformist ex-president Mohammad Khatami. State TV and media also reported his withdrawal. Aref said he received a message from Khatami telling him that his continued candidacy "is not in the interest" of Iran's reformers. Aref has been a close ally of Khatami's since his presidency in 1997-2005. Rowhani meanwhile has close ties with both Khatami and another influential former president, Akbar Hashemi Rafsanjani, who was barred in May from running in the election by a clerically run constitutional watchdog. On Monday, a hardline candidate withdrew to avoiding splitting the vote with other conservative candidates. Under the Iranian system, if no candidate gets a majority in the first round, then the top two have a run-off. The election will choose a successor for outgoing President Mahmoud Ahmadineajd who under the law cannot run for another term.